Mankind is locked in a battle for survival against the machines. You, an ace tank gunner, are the mankind's sole hope. Can you destroy the machine army? Last Man Standing - The powerful and ruthless war computer Skullnet has turned on its creators, humans. Skullnet is now threatening to eliminate entire mankind. As a pilot of the highly advanced tank Ajay, your job is to battle and destroy Skullnet's mighty armies, and finally, destroy Skullnet itself! Our online ordering is safe, secure and provided by a well known and trusted source. 45 days money back guarantee on the purchase. Battle through 61 levels in the full game! 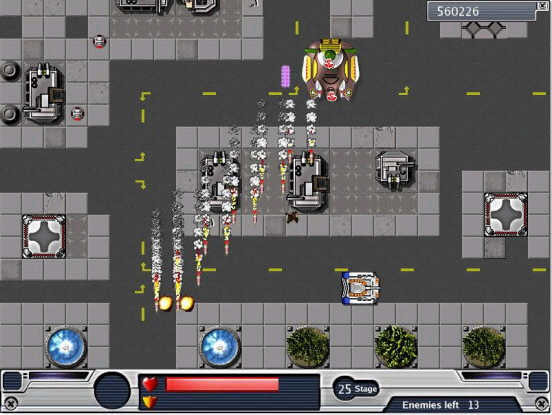 Drive 6 different type of tanks in the full version. Battle and destroy huge bosses! 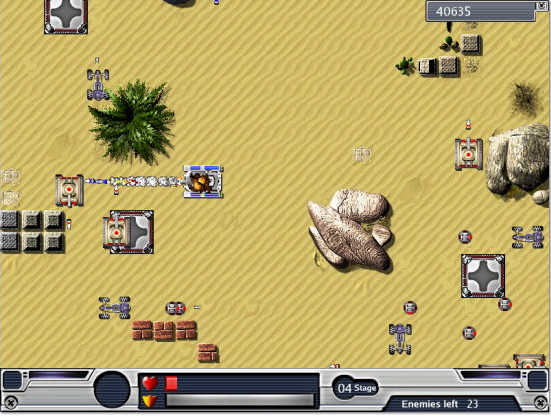 Explore the desert in the free version, explore 5 environments in the full game. Start playing now! Last Man Standing is just a 3Mb download. That's just 7 minutes on a 56K modem! Fatman Blocks 2 Game - Help! help Fatman complete his treasure hunt adventure! Galaforce Worlds Game - It is a challenging space game packed with features and thrilling edge-of-your-seat action.